Whether for your outdoor entertaining area or for your pool, shade sails provide the perfect solution for protection against the sun. 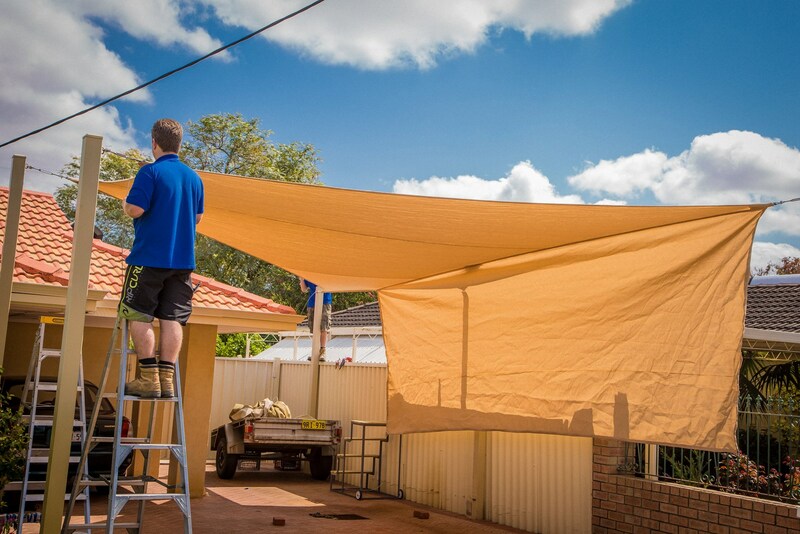 At Shade Experience, we specialise in supplying and installing high quality shade sails across Perth. Serving the region for over 20 years, we’re a family owned and WA based company providing effective and functional outdoor shelter and shade solutions. We complete all work in-house, boasting an impressive repertoire of knowledge and insight when it comes to shade sail installation. Learn more about shade sail designs, layouts and installations with help from our experts. Versatile, unique and function, shade sail layouts and designs are as unique as the homes they’re placed in. From simple and basic configurations to geometric and abstract designs, your shade sail is made to suit your home. Coming in a range of colours, finishes and designs, it’s easy to find a shade sail solution that works with your lifestyle and your preferences. The specialised designers and technicians at Shade Experience offer custom shade sail manufacturing services. Made from a wide range of premium fabrics and materials, your shade sail is made according to your specific requirements. We get to know your property and lifestyle to design and create a shade sail tailored to you. The location of your shade sail dictates its effectiveness and function. When choosing where to place your shade sail, you need to think about its main purpose. Do you want your shade sail to cover your pool, your patio or maybe even both? How you want to use your property dictates where your shade sail should be installed. The expert technicians at Shade Experience specialise in helping you pick the perfect location for your shade sails. Our team has over 20 years of experience providing reliable advice and expertise when it comes to making the most of your shade sail. If you’d like to install your shade sail yourself, you need to consider building approvals, attachments, supports, footings, tensioning, care and safety. Installations should only ever be completed once you have a thorough and in-depth understanding of the process, as well as the support and help of a team. 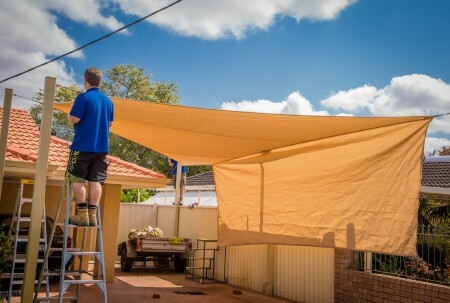 While installing a shade sail yourself is possible, it does come with an increased risk of damage to yourself, your shade sail and your property. If not fitted correctly, shade sails can break, degrade quickly and fail to function property. Unless you’re an experienced installation technician, we recommend opting for the help of a professional. At Shade Experience, we offer affordable and efficient shade sail installation services. Our technicians are highly skilled and specialised in ensuring that your shade sail is installed firm, tight and safely into position. Learn more about shade sail installation. At Shade Experience, our designers and technicians specialise in providing personalised shade sail advice, manufacturing, supply and installation. Organise your shade sail installation today. Contact us on (08) 9417 9988.